I’ve been making flowers for a particular vessel for the last couple of days . This started life as a chrysanthemum but along the way I thought it looked as though it had the potential to be a sea creature for another project. So I adapted a bit and voilà! Well, it’s a stylised octopus! 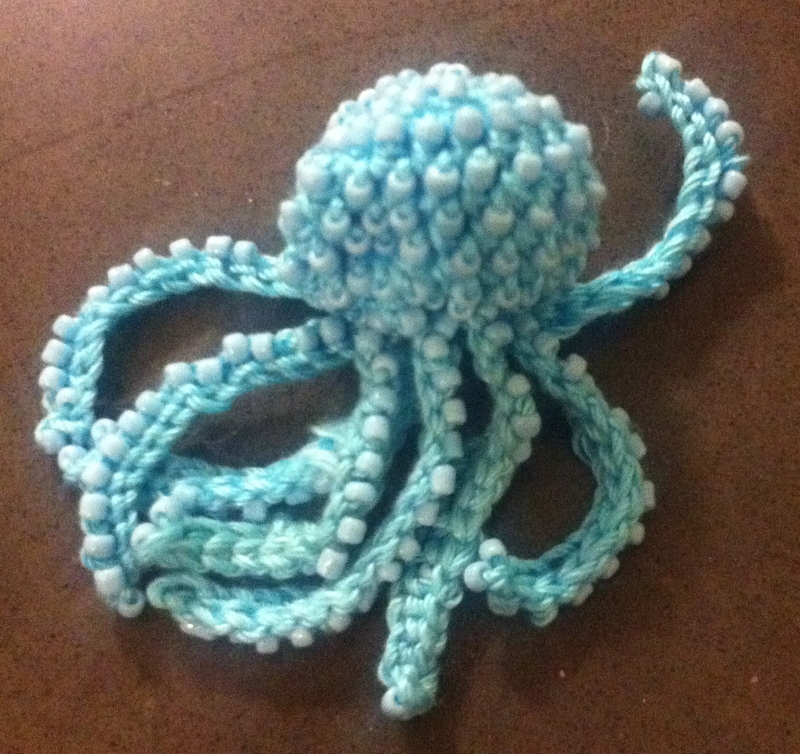 This entry was posted in Design, freeform crocheting. Bookmark the permalink. Instantly recognisable! Even if it is an artistic colour. Yes, it’s those little “suckers” that do it 🙂 I like the way it’s doing a little highland jig.